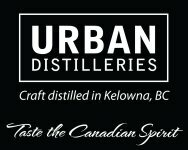 KELOWNA, BRITISH COLUMBIA--(Marketwired - Dec. 18, 2013) - Urban Distilleries Inc. the oldest and largest craft distillery in the Okanagan, announces it will press on in fight to defend the Spirit Bear brand and the Kermode Bear. The Kermode Bear, a white subspecies of the black bear, sometimes referred to as a Spirit Bear, is one of BC's greatest environmental treasures. Urban Distilleries owner and founder, Mike Urban, has long been interested in how business can be used to promote the environment. As part of this environmental commitment Urban Distilleries developed the Spirit Bear brands. The Spirit Bear each have the image of a bear in partial profile above the words Spirit Bear Vodka, Spirit Bear Gin and Spirit Bear Espresso respectively. A portion of the sales of each Spirit Bear branded bottle, and from the tasting of products offered at the Kelowna based Urban Distilleries tasting room go to the Spirit Bear Youth Coalition, a not-for-profit organization that seeks to preserve the Kermode ("Spirit Bear") bears. In keeping with the environmental goals behind the Spirit Bear brand the handcrafted Gins and Vodkas are made using locally sourced Okanagan grains, fruits and glacial water. With its use of premium quality materials coupled with artisan skills, the Spirit Bear Products have been well received, with the Spirit Bear Gin having been awarded Gold Medal at the California International SIP awards and Judges Choice and honors at the Alberta Beverage Awards. Recently though the Spirit Bear brand has been put under threat though by an unlikely source. The City of Terrace, and Kitasoo Band Council have filed a lawsuit in Federal Court seeking to prevent the sale of Spirit Bear brand products (Federal Court Docket #T-700-13). Through the lawsuit the City of Terrace and the Kitasoo Band Council are attempting to use a little known section of the Trademark Act to enforce a monopoly on the use of the words "Spirit Bear". When you think about municipal government you might focus on local matters; parks, potholes, and community centers might come to mind. Likely few taxpayers anticipate that their taxes are being spent not on local matters, but on forcing a small independent business operating more than a thousand kilometers outside of town to change their product labels or pay up. One motivation for attempting to enforce a monopoly on the use of the words "Spirit Bear" may be seen through the recent admission in Court documents that the City of Terrace and the Kitasoo Band Council have previously authorized businesses to use the "Spirit Bear" official marks in exchange for monetary payments. While fighting against deep pocketed plaintiffs is a challenge for any small business Urban Distilleries Inc. will continue to persevere in its efforts to maintain the Spirit Bear brand, and its ongoing support for the Spirit Bears. If you would like to help Urban Distilleries, donations can be made at any Scotia bank (acct # 80150 0212822) or you can help just by going to your local liquor store and picking up a Spirit Bear Vodka or Gin. If the liquor store does not carry it, have them bring it in. Help us stop the province from trade marking and making money off our wildlife.